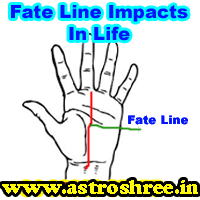 Fate line in palm and its impact in life, what to do if fate is not supporting, how to over come from destiny problem, Palmist for palm reading, Palm Reading Tips. Fate is affecting our life wholly, every incident which is going on in our day to day life is because of our destiny. So If fate is supporting any person then no doubt the person will get success easily and live the life easily. The personal life will become better due to good fate, the professional life will grow due to powerful fate, the social life will also groom due to luck. In our palm there is a line which starts from the base of the palm and move towards base of the Saturn finger i.e. middle finger, this line is called the line of fate in palmistry. Study of this line reveals the life of a person that how much a person is facing problem in work, in personal life, in social life etc. A fate line is said to be good and strong if it is deep and narrow. It must be free from any cut i.e. it must not be engage with any type pf horizontal line or any type of signs. If it is so then the person is said to be the lucky one. Health, wealth, honor will come easily to this type of person. How To Decide Age In The Fate Line? To know the periods of incidents the fate line is divided into different periods starting from 5 years from the base line and it will move up to 75 years a the end of Saturn finger base. In between it is good to divide the fate line in the interval of 5 years. Zig zag fate line shows the instability in professional and personal life. This type of persons are unable to stick with a single work and wander here and there in search of satisfaction. This type of person if in job changes the job frequently and if in business try to do different things frequently which lead to loss and frustration too. A gap free fate line, a deep fate line, a clear fate line and bright fate line is the sign of smooth and powerful life. This type of person gets success easily in the desired field. They enjoy the life really in the desired way. If the fate line ending at head line then it shows the downfall after a middle age i.e. 35th years. A dissatisfaction arises in the middle age and also some times struggle increases in life. Some times if other planets are also not supporting then this types of person also faces debt problem due to wrong decisions. Person is unable to save money because of weak planetary positions. If the fate line tilt or divert from some where then it means that the person will face changes in job or somewhere else in that particular age. It may be possible that person will change job or it may shift business or change the living place etc. If any line is also moving along the fate line then it means that the fate is getting stronger. It opens the way of success. This type of people has more than one income source and also get supports from relatives, friends etc. Absent of fate line shows the hard working persons i.e. laborers, servants etc. Some times it shows deep poverty of person and this type of persons are dominated by others easily, This type of persons become beggar sometime. If the fate line is getting end near by heart line then it shows that the person will live a good life about 60 years of age and then faces struggle. If the fate line is emerging from the moon plain then it shows that the person has good scope in abroad and this type of person earn huge income from foreign countries. Fate line if starting from the life line then it shows that the person has good support from his family members and it also shows the opportunity to spend life with family members. Any type of gap in the fate line is not good. It shows any type of job changes or depression, or health problem etc. It may lead to loss of money, honor, peacefulness etc. If fate line is good, heart line is also supporting then the person may live a good love life. 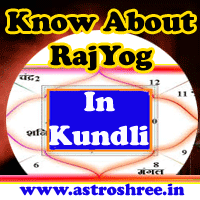 So fate line is very important in life and study of this fate line in palm reveals our life secrets. But before reaching to any decision it is good to consult any experienced palmist because only fate line is not taken to predict any thing. There are others signs and lines which are studied to take final decisions and remedies.